Jan Traylen: Courgette flower after Edward Weston: A Landscape of Images. 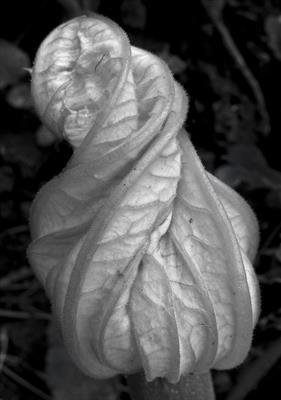 The photography of Edward Weston influenced me in this close-up of a twisting flower as it unfurls. Black and White printing accentuates the lines. Giclée printed photograph on textured paper.